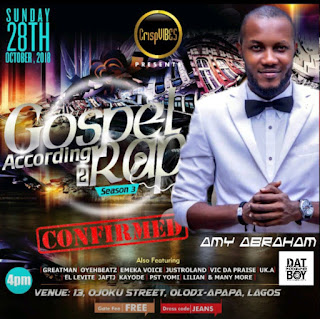 Music & graphic artist turned photo & video editor, Abraham Esua, popularly known as Amy Abraham, is a lover & multi-talented artist in the word artist. Publisher of W2 Magazine, a proudly Nigerian fashion & lifestyle magazine; and head photographer at DAT PHOTOGRAPHER BOY, his goal is to be a household brand and tries to help others build in their passion. 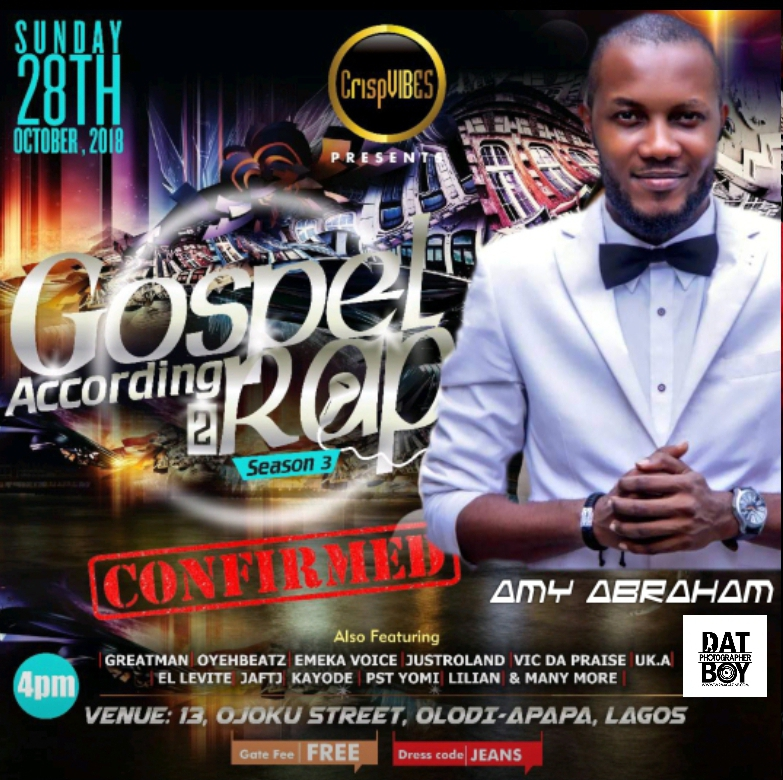 Amy Abraham will be Joining us come Sunday 28th October 2018 by 4pm. You Don't want to miss it!